Charles “Chuck” W. Luther, age 85, of Athens, passed away surrounded by his loving family on Monday, April 22, 2019 at Dycora Transitional Living in Abbotsford under the tender care of hospice. A Memorial Service will be held at 11:00 a.m. on Monday, April 29, 2019 at Bethlehem Lutheran Church in Milan. Rev. Mark Schwalenberg will officiate. Inurnment to follow at the church cemetery with Military Honors provided by the Edgar American Legion Post #393. Family and friends are welcome from 2:00 until 6:00 p.m. on Sunday, April 28 and from 10:00 a.m. until the time of service Monday all at the church. Chuck was born on December 10, 1933, the son of Guy and Faye (Hewitt) Luther in Columbus, NE. He later moved to WI with his family. He attended Cary Bluff School and Pittsville High School. Chuck served in the US Army from 1955-57. He was united in marriage to Joanne Singstock on November 8, 1958 in Pittsville. They recently celebrated their 60th wedding anniversary. Chuck worked as a diesel mechanic and worked most recently at Weathershield Transportation in Medford retiring in 1999. He enjoyed sports including playing for the Cary Baseball Team and watching his grandsons high school team win the state championship. Chuck was a fan of the Braves, Brewers, Badgers, Packers and Bucks. 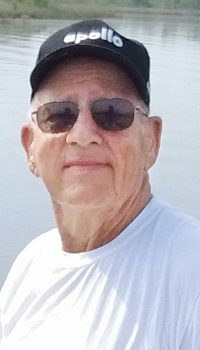 He was an avid fishermen and hunter with many adventures and stories to tell. Chuck is survived by his wife of 60 years, Joanne of Athens; six children: Brenda (Edwin) Schmidt of Wausau, Cynthia (Greg) Raube of Reeseville, Mark (Julie) Luther of Spencer, Brian (Kathy) Luther of Athens and Sara (Brian) Wimmer of Wausau; a son-in-law, Allan Faude of Withee; 16 grandchildren and 8 great-grandchildren. He is further survived by one brother, Richard Luther of Pittsville; nieces, nephews, other relatives and friends. He was preceded in death by his parents; his daughter, Karen Faude; a brother, Carroll Luther; a sister, Allie Topping; a sister-in-law, Frances Luther and a brother-in-law, Silas Topping. 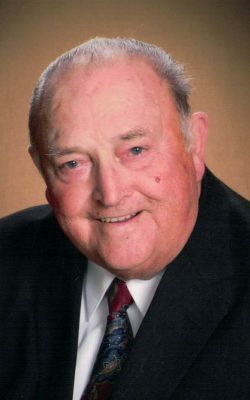 Valgene G. Fischer, Sr., age 84, of Colby, passed away surrounded by his loving family at Dycora Transitional Living on Monday, April 22, 2019 under the tender care of hospice. A Funeral Service will be held at 11:00 a.m. on Monday, April 29, 2019 at Zion Lutheran Church in Colby. Rev. Mark Neumann will officiate. Interment to follow at the St. Mary Catholic Cemetery. Family and friends are welcome from 4:00 until 7:30 p.m. on Sunday, April 28 and from 10:00 a.m. until time of service Monday all at the church. The Maurina-Schilling Funeral Home in Colby is entrusted with the arrangements. Val was born on August 20, 1934, the son of Carl and Tudie (Schultz) Fischer in Colby. He graduated from Colby High School in 1952. Val was united in marriage to Marie Schuh on October 10, 1955. He worked at Packaging Corporation of America for many years and owned Val’s Gun Shop in Colby. He also plowed snow. Val liked to travel and visited all 50 states. He loved hunting and fishing. Val especially cherished his family. Val is survived by his wife of 64 years, Marie of Colby; two sons: Valgene Fischer, Jr. of Dayton, OH and Mark (Cindy) Fischer of Spencer; seven grandchildren: Holly (Tom) Lipscomb, Ivy Fischer, Sam Fischer, Ben VerKilen, Adam VerKilen, Amanda (VerKilen) Pupp and Jaime Whitney; five great-grandchildren: Elliot Payne, Kolton Liss, Lydia Pupp, Logan VerKilen and Remi VerKilen. He is further survived by two sisters, Janice Heindl and Bonnie (Jerry) Zygowicz; nieces, nephews, other relatives and friends. He was preceded in death by his parents; his sister, Patsy Lang and his brother-in-law, Jim Heindl. 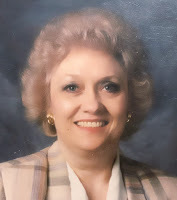 Elaine A. Peterson, age 68, of Withee, passed away on Monday, April 22, 2019 at the House of the Dove in Marshfield. A Memorial Service will be held at 11:00 a.m. on Saturday, April 27, 2019 at Northridge Church in Abbotsford. Pastor Will Krebs will officiate. Inurnment at a later date in Emmanuel Lutheran Cemetery in the Town of Longwood. Family and friends are welcome from 4:00 until 7:00 p.m. on Friday, April 26 at the Maurina-Schilling Funeral Home in Owen and from 10:00 a.m. until time of service Saturday at the church. 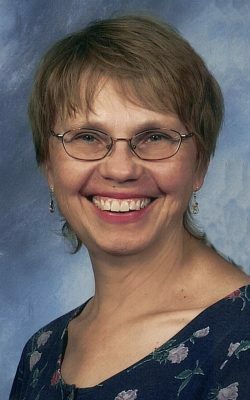 Elaine was born on March 16, 1951, the daughter of Albert and Josephine (Koenig) Messmer in Dickinson, ND. She was raised in Mott, ND and received a bachelor’s degree in Social Work from Dickinson State College. In 1972, Elaine was united in marriage to Tom Davidson and they later divorced. On November 9, 2002, she was united in marriage to Charles “Chuck” Peterson in Marshfield. Elaine worked for the social service department for Wood County and helped on the dairy farm in Southern WI. She finished her career as a screener for CCCW in Marshfield. Elaine enjoyed flower gardening, painting, ceramics and needle work. She was active at Northridge Church and cherished her family, especially her grandchildren. Elaine is survived by her husband, Chuck of Withee; three children: Joshua Davidson of Menomonie, Micah (Bridget) Davidson of Baldwin, ND and Benjamin (Angel) Davidson of Plymouth; three step-children: Andy (Evelini) Peterson of Washougal, WA, Katie (Doug) Pautz of Prior Lake, MN and Brian (Lyndi) Peterson of Thornton, CO; 12 grandchildren: Amanda, Megan, Lexus, Petra, Leah, Dinah, Hannah, Gabriel, Judah, Belah, Selenah and Willow Davidson; four step-grandchildren: Landyn, Sayla, Ava and Evyn Peterson. She is further survived by her mother, Josephine Messmer of Fargo, ND; two sisters, Yvonne (Tim) Wagner of Sarasota, FL and JoAnn (Jerry) Gilles of Ankeny, IA; nieces, other relatives and friends. She is preceded in death by her father; her brother, Charles Messmer and her sister, Marie Messmer. 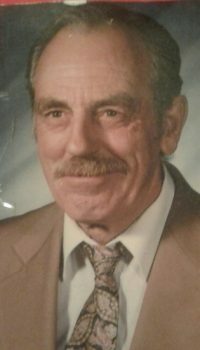 Gordon “Gordy” A. Knight, age 86, of Colby passed away on Wednesday, April 17, 2019 at the VA Medical Center in Tomah. A Memorial Service will be held at 1:00 p.m. on Saturday, April 27, 2019 at the Maurina-Schilling Funeral Home in Abbotsford. Visitation will be from 5:00 until 7:00 p.m. on Friday, April 26 and from 12:00 p.m. on Saturday until time of service all at the funeral home. 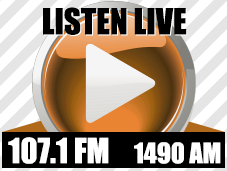 Burial will take place at the Abbotsford Public Cemetery with Military Honors provided the Colby VFW Post #2227. Gordy was born on January 7, 1933, the son of Chester and Anna (Raasch) Knight in Curtiss. He graduated from Abbotsford High School in 1950. Gordy served in the Korean War from 1952-54. He earned his BS degree in Special Education and a Masters degree in Learning Disabilities both from UW-Eau Claire. Gordy was united in marriage to Sandra Fults on June 16, 1956. She preceded him in death on December 13, 2010. Gordy taught Special Education and coached the girls track team at Colby High School. He enjoyed fishing, carving, gardening, watching football, especially the Green Bay Packers and horses. Gordy was a member of the Colby VFW Post #2227. Gordy is lovingly survived by his children; Cindy Knight of Owen, and John Knight of Green Bay; 3 grandchildren; Morgan Vetterkind, Megan and Kaitlyn Knight. He is further survived by his sister, Corrine Roy of Winter Park, FL; nieces, nephews, other relatives and friends. Gordy was preceded in death by his parents; his wife, Sandy; his son, Allen Knight; his brother, Douglas and a daughter-in-law, Diane. 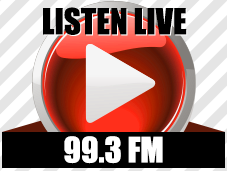 Graveside services will be held at Riverside Cemetery, in Withee, at a later date. Marcella Marie Witalis was born on July 15, 1932 in Lublin, WI, the daughter of Alex and Isabelle (Kucharski) Witalis. She was raised on the family farm and received her education in the Lublin area. After completing her education, she worked on her brother's farm, in Lublin, before her marriage to Dale I. Jasmer on April 18, 1964 at St. Stanislaus Catholic Church in Lublin. They farmed in the Town of Taft for many years, selling their cows in 1987 and then raising heifers and steers. She had many interests, but especially enjoyed reading romance novels. Marcella is survived by 2 sons: Gary of Owen, WI and Jerome of Amherst, WI; one sister: Doris Szpara of Lublin, WI; nieces, nephews, other relatives and friends. She was preceded in death by her parents; her husband, Dale, on December 27, 2014; 2 brothers: Vincent and Ted Witalis; and 2 sisters: Florence Fischer and Clementine Henderson. 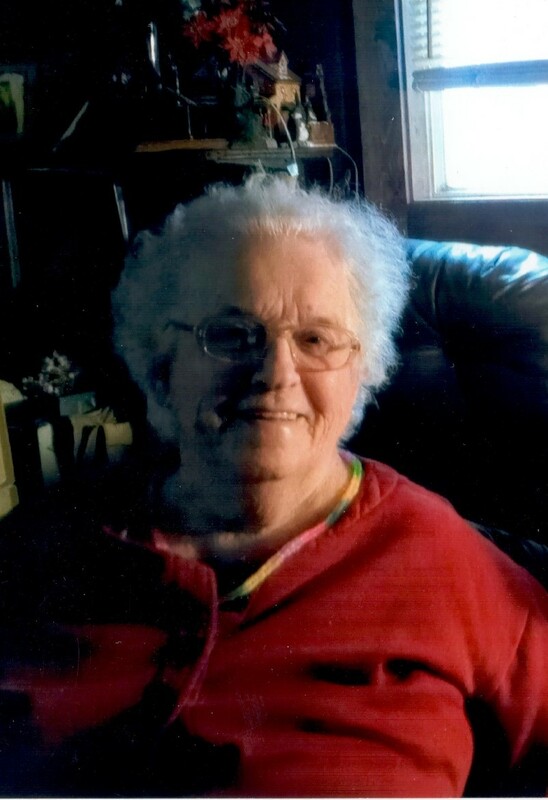 Lynette “Lynn” Ann Peterson, 73 of Madison, a former Medford and Marshfield resident passed away on Thursday, March 21 at Belmont Nursing Home where she resided. Memorial services for Lynette will be at 4 PM on Saturday, April 27 at Community United Church of Christ, Medford with Pastor Mary Jo Laabs officiating. Visitation will be at the church from 2 PM until the time of services. Interment of her cremated remains will take place at Medford Evergreen II Cemetery following services. Lynette was born on June 25, 1945 at Medford, the daughter of George and Ada (Pinkert) Peterson. She was a graduate of Medford High School, the University of Dubuque, and the University of Dubuque Theological Seminary, Dubuque, Iowa. She was previously married to Ronald Mushel Sr. and they were later divorced. Lynette lived in Marshfield most of her adult life where she owned & operated Lynn’s Flower Shop for a period of time. Then she entered the ministry and served United Methodist Churches as a pastor in Norwalk, WI, Neenah, WI and the WI Dells/Lake Delton churches before retiring to Madison. She is survived by her children, Jennifer (William) Wilson of Naperville, IL and Ronald Mushel Jr. of Marshfield, grandchildren, Hope (Eric) Jannusch of Geneva, IL, Alexis Mushel of Marshfield, and great-grandchildren, Kayla & Kelsey. She is further survived by a sister, Yvonne (Leon) Brost of Medford along with cousins, nieces & nephews. She was preceded in death by her parents & a sister, Phyllis Pope. In lieu of flowers, the family requests memorial contributions be given to the family for a future designation. For online condolences, please visit hemerfuneralservice.com. On Monday, April 15th a very special lady earned her wings after her courageous fight with Brain cancer. Michelle (Shell) Block was born January 15, 1981 in Marshfield, WI to Rick and Karen Block. She attended Stetsonville & Medford schools graduating in 2000. Michelle worked for G&D Enterprizes, Memorial Hospital, Marathon Cheese, Deerview Meadows, the Hedlund agency, and caring for a special set of twins. Michelle’s true calling was working in the medical field. She went back to school and became a Medical Assistant and worked at a clinic in Rib Mountain, where she was loved by her co-workers and patients. Her cancer forced her to leave this job. Michelle loved going to dirt track races, watching Nascar races, walking, traveling, and spending time with family and friends. With her beautiful smile and friendly nature Michelle made a new friend wherever she went. Michelle leaves behind her parents, two brothers Clayton of Spencer, and Mitchel of Babcock, a sister Courtney (Ethan Kramas) Withee, and many very special friends, aunts, uncles, and cousins. Michelle was greeted at heavens door by her baby brother Josh, her grandparents Art and Isabelle Haas, and Clarence & Ione Block, and her uncles Warren Block and Art Haas Jr.
A Celebration of Life will be held at 11:00 AM, Saturday, April 27th at the First Baptist Church, Medford. To honor Michelle the family asks that you wear bright colors or red, white and blue - two of Michelle’s favorite things. In lieu of flowers memorials can be made to Hope Hospice or Taylor County Walking for a Cure. A special thanks to Hope Hospice who made it possible to keep Michelle home where she was surrounded by family and friends. 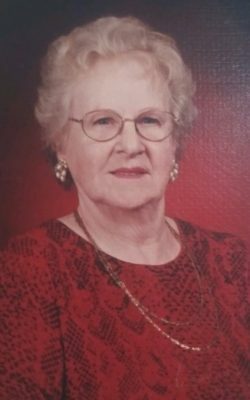 Doris R. Petke, age 89, of Withee, passed away at Clark County Rehabilitation and Living Center in Owen on Saturday, January 26, 2019. A Celebration of Life will be held at 10:30 a.m. on Saturday, April 20, 2019 at Nazareth Lutheran Church in Withee. Rev. Elizabeth Bier will officiate. Inurnment to follow at Riverside Cemetery. Family and friends are welcome from 9:00 a.m. until time of service Saturday at the church. Doris was born on November 3, 1929 on a farm north of Owen to Peter and Olga (Andersen) Peterson. She was educated at Elmerst and Owen Public School. Doris married Raymond Petke on January 9, 1947 at St. John’s Lutheran Church. Doris worked at the Clark County Health Care Center in Owen two weeks shy of 40 years. Doris is survived by her four daughters: Peggy Looker Banks of Chicago, IL, Gloria Jean Petke, Dawn Marie Skowronek and Wendy (Malen) Juzwiak all of Withee; seven grandchildren: Brandon, Heather, Ray, Missy, Laurissa, David and Ryan; ten great-grandchildren: Lorelai, Mathew, Arthur, Amelia, Ray Jr., Jaxon, Quinn, Isabella, Jase and Lincoln. She is further survived by her brother, Arthur (Jane) Petersen of Owen, her sister, Ida (Sam) Satonica of Owen; multiple nieces and nephews, other relatives and friends. She was preceded in death by her parents; her husband, Ray; an infant son, Gary Dean; two brothers, Martin and Larry and a sister, Lauretta. 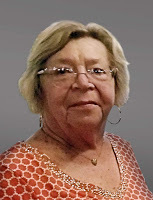 Patricia “Patti” K. Peterson, 78, of Medford, passed away peacefully in her sleep on Friday, March 1. A celebration of life will be held on Saturday, April 20 at the Stetsonville Centennial Hall, in Stetsonville, WI from 11am to 4pm with lunch served at noon. Interment of her cremated remains will take place at Medford Evergreen Cemetery at a later date. Patricia "Patti" Peterson was born on September 9, 1940 in Merrill, Wisconsin to the late Harold and Delores (Thielke) Ruesch. She attended Medford Area Public Schools and graduated from Medford Area Senior High in 1958. She went on to serve as a nurse's aide in Madison at both what is now Meriter Hospital and the VA Hospital. She also served in this capacity at the Medford clinic. She married John “Jack” M. Peterson on October 29, 1960 and became a homemaker for her family. She was a member of the Community United Church of Christ in Medford. Patti enjoyed reading, spending time with family, and escaping Wisconsin winters in Florida, where she had just spent the last month. Along with her husband, Patti is survived by her sons: Scott (Joan) Peterson and Jeff (Pam) Peterson both of Medford, as well as five grandchildren: Samantha (Ken) Brenner of Fitchburg, WI, Eric (Suzi) Peterson of Medford, Justin Peterson of Fitchburg, WI, Haley Peterson and Adam Peterson both of Medford and three great grandchildren: Ryan, Alec, and Cassidy. 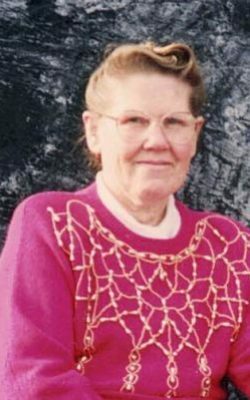 She is preceded in death by one daughter-in-law, Kristin A. Peterson in 2001. In lieu of flowers, the family requests memorial contributions be given to either the St. Jude’s Children’s Hospitals at 262 Danny Thomas Pl., Memphis, TN 38105 or the Shriners Children’s Hospitals at 2900 N. Rocky Point Dr., Tampa, FL 33607 . For online condolences, please visit hemerfuneralservice.com. Ruth is survived by her husband of 63 years, Eugene of Abbotsford; three sons: Terry Graffunder of Abbotsford, Jody (Bobbi) Graffunder of Eau Claire and Gene (Kim) Graffunder of Sparta; eight grandchildren and five great-grandchildren. She is further survived by her three siblings: Herb (Glenda) Carlson, Eddie (Leroy) Jeske and Mae (Jack) Nelson; nieces, nephews, other relatives and friends.